Homewood Mountain Resort (West Shore) – Ranked #12 in a SKI magazine readers poll, Homewood Resort boasts over 1,260 acres of skiable terrain with a 1,650’ vertical drop. The Homewood Mountain Resort is well known for having some of the best powder in Tahoe, and receives an average of 450 inches of snow per year. 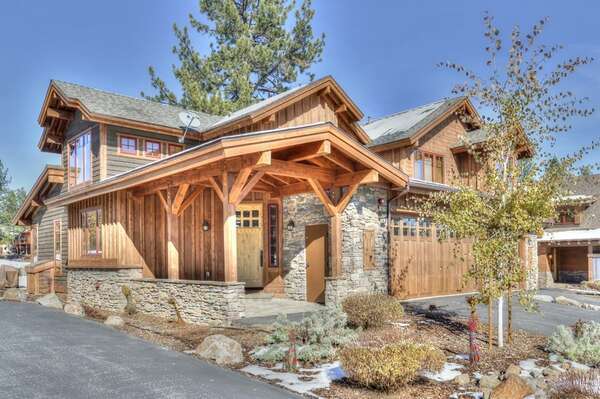 Tahoe is a year-round vacation destination, a place you will always find something to do in any weather. Summers are for the lake and water adventures, spring and fall are times for hiking, biking, and enjoying the beauty of our surroundings, and some would say that winter is when Tahoe really comes to life, and Homewood Mountain Ski Resort is a really big reason why! If you have never tried to ski before, now is the time. Once you get your first taste of flying down the mountain, goggles on, with the cold mountain breezes nipping at your cheeks, you will start planning every vacation to be a ski vacation! 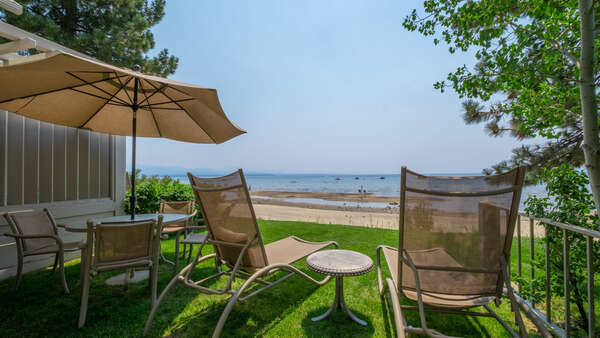 We’ve built up an entire community around Lake Tahoe, so the fact that you can see its glistening waters from the slopes of Homewood is kind of a big deal. Close enough to provide distracting views as you schuss down the mountain, but not so close that you have to worry about bulleting into its waters on one of the many times you fall, the proximity gives Homewood a little something extra. A family favorite since its opening in 1961, Homewood Mountain Resort is built on 1260 acres, has 8 lifts, 67 runs, and is open pretty much every day during the season from 8 AM until 4 PM. Offering a great selection of beginner runs, you won’t feel uncomfortable being an adult novice, and more importantly, you won’t have to fear the trails! If we could offer one piece of advice to ALL beginning skiers, it would be to take their time and become comfortable with the beginning trails before moving on to more advanced ones; there’s no shame in being a beginner, but an injury from trying too much, too fast could put a damper on your vacation! And besides, the “signature” run, Rainbow Bridge, is two miles long, allowing you to have fun on your skis for a very long stretch of time! For those who like statistics, the breakdown on their runs goes as follows: 15% beginner runs, 40% intermediate, 30% advanced, and 15% expert. We’ve lived here our entire lives and have yet to make it to the expert slopes. If that is your skill level, tell us how it went! The after ski party (après ski) is almost as important as the skiing itself, and Fridays through Monday, the West Shore Café offers free s’mores from 4:00 to 4:30 for all skiers; you’ve expended a lot of energy during your day of skiing and the s’mores will hit the spot! 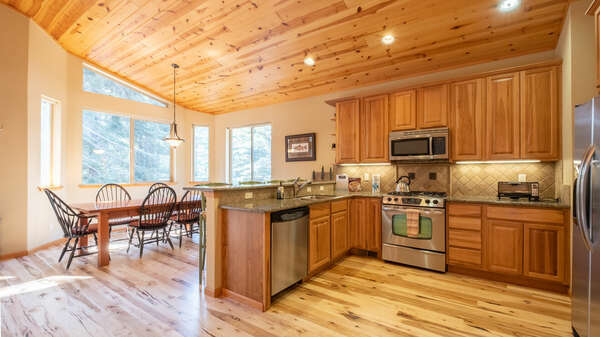 You can then relax in your cozy Tahoe Signature Properties vacation rental and prepare for the next day full of adventures.